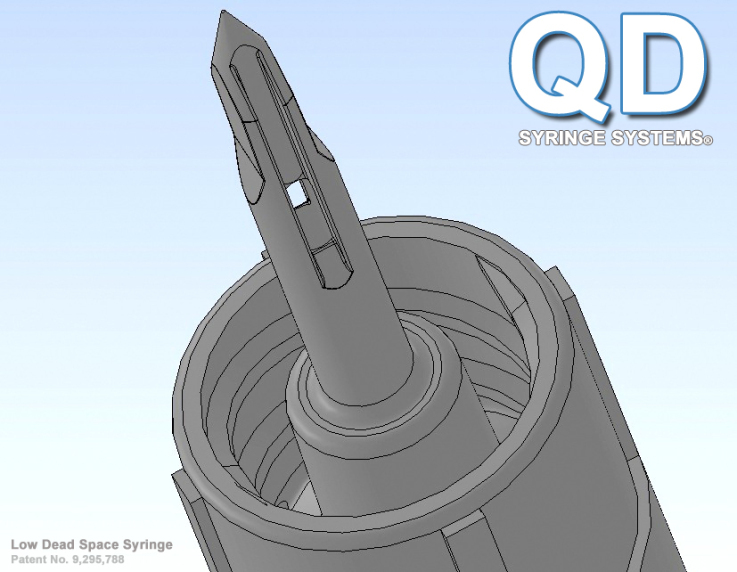 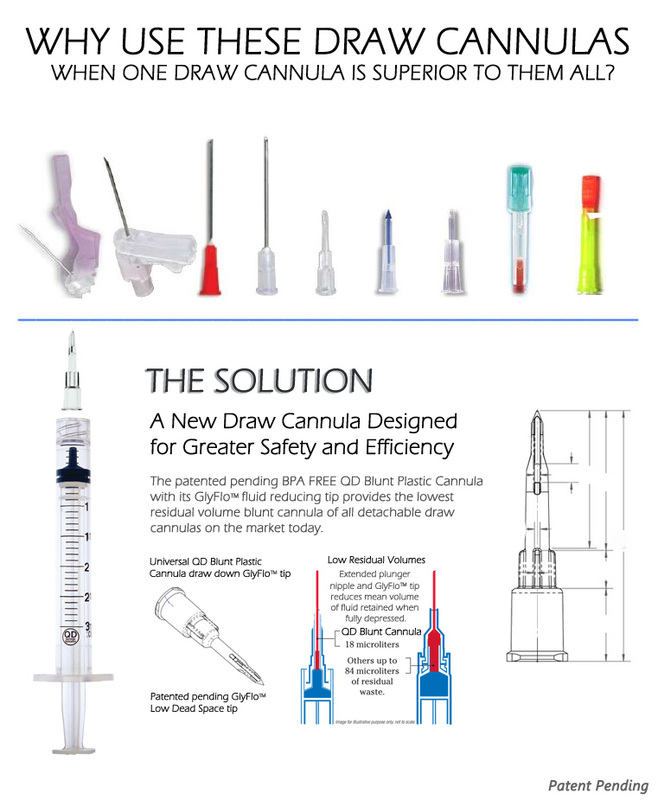 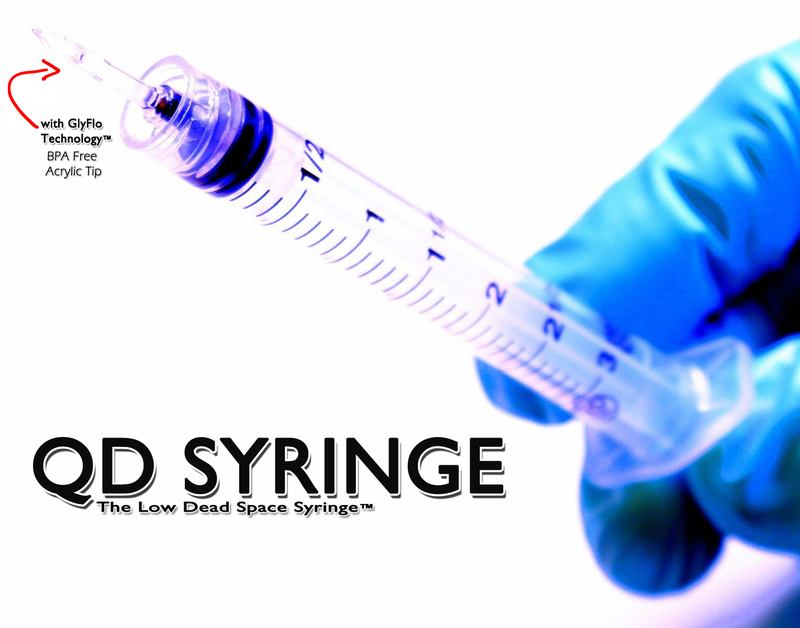 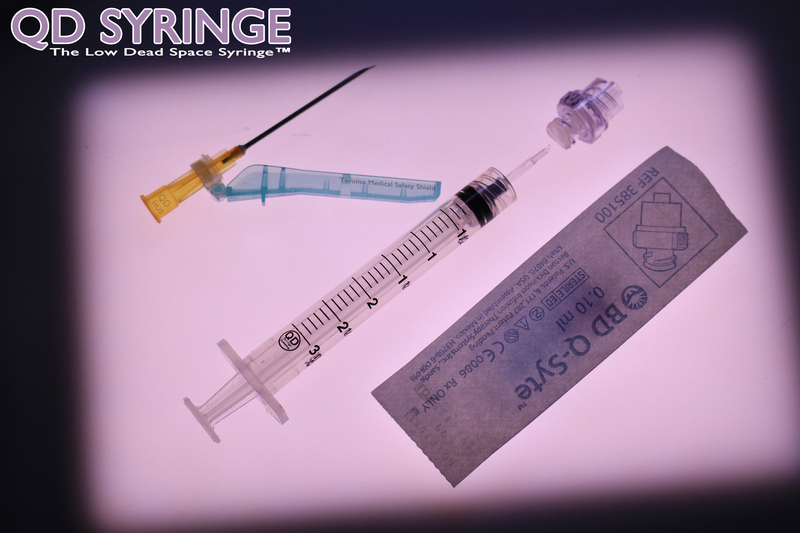 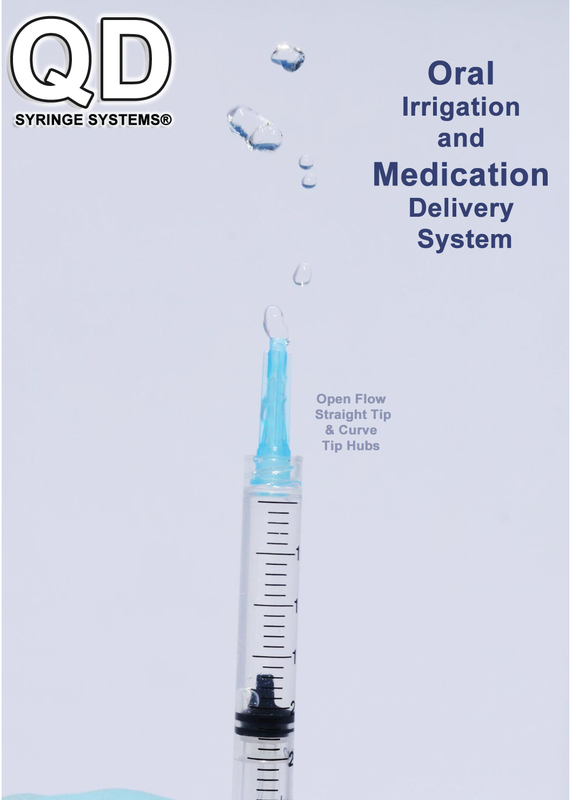 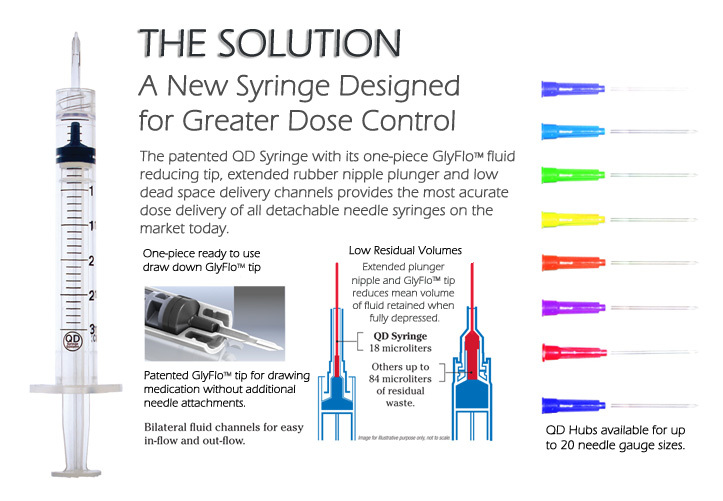 The QD Syringe/Cannula – A new draw cannula designed for greater safety and efficiency – The QD Blunt Plastic Cannula was designed with bilateral channels which completely draws down all medications from rubber stopper vials, reduces the residual volume within its cannula and decreases steps in workflow. 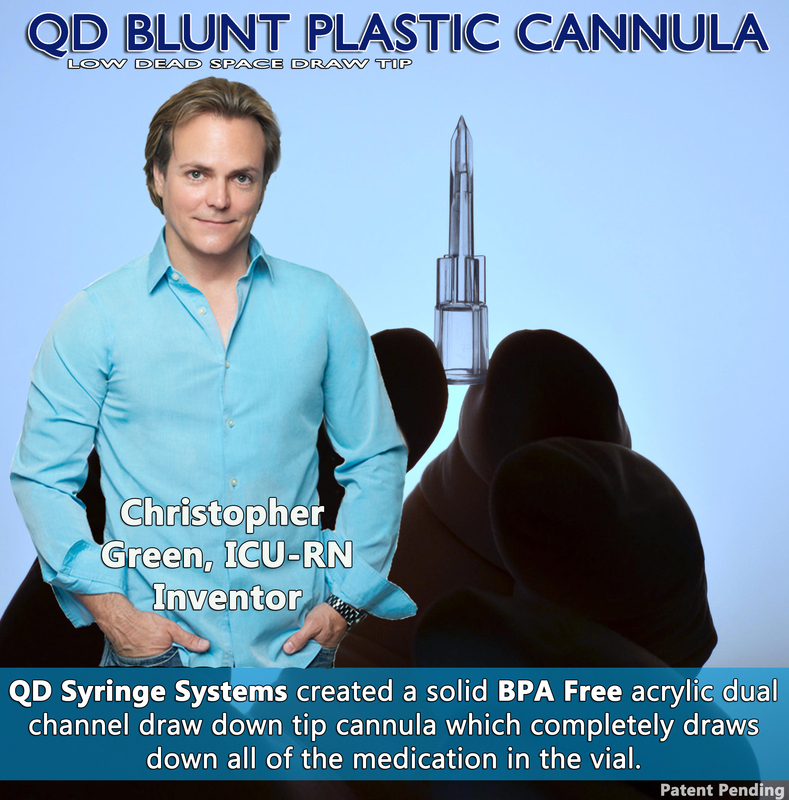 The QD Cannula Tip insures rapid withdraw of medication from vial and extremely low medication residual left in vial. 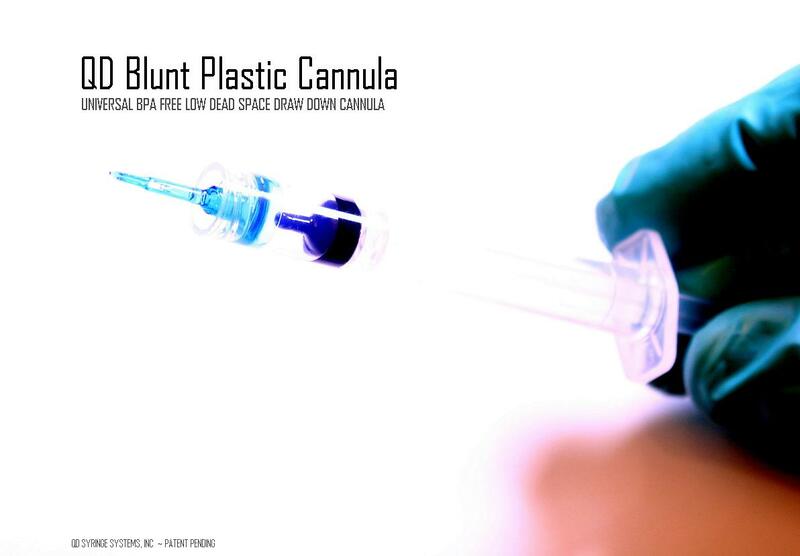 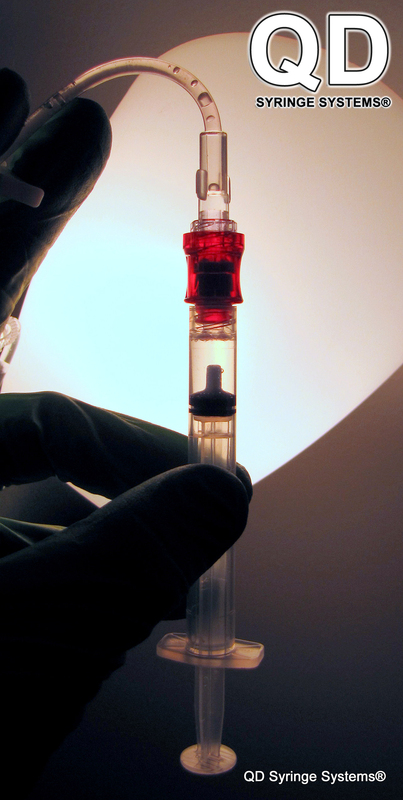 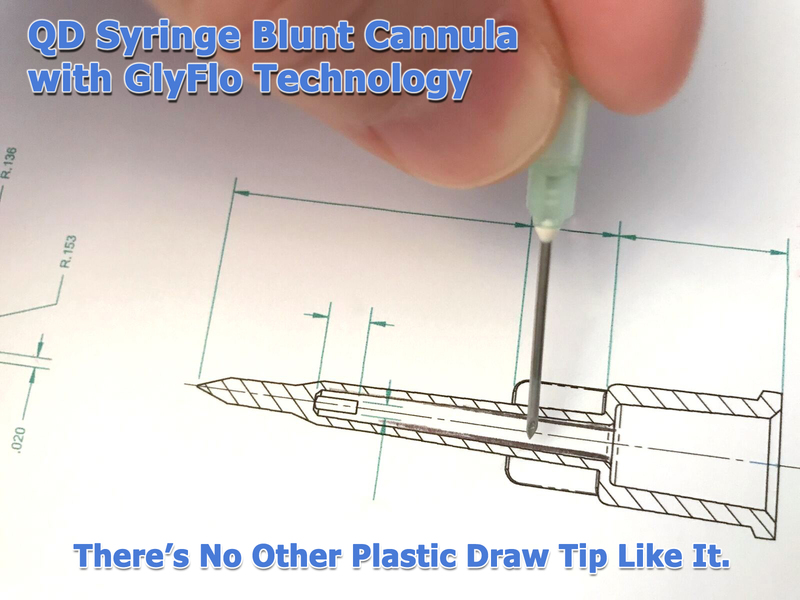 A new blunt cannula (patent pending) can completely extract costly medications from rubber stopper vials and deliver them to patients effectively. 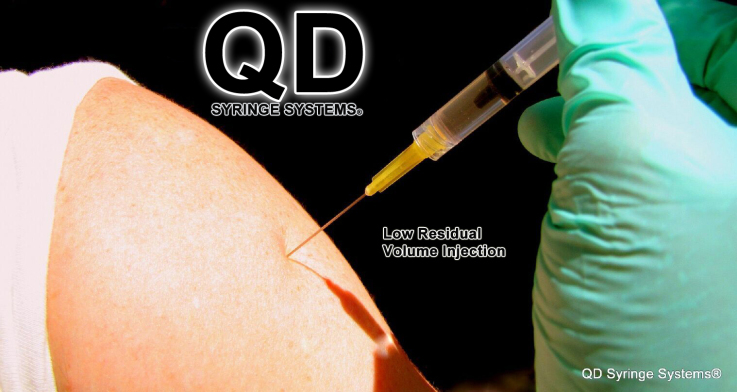 Quick Draw (QD) Cannula Tip insures rapid withdraw of medication from vial and extremely low medication residual left in vial.